Feelin’ groovy? In tie-dye, you aren’t just limited to t-shirts. You can tie-dye socks, shorts…even underwear. 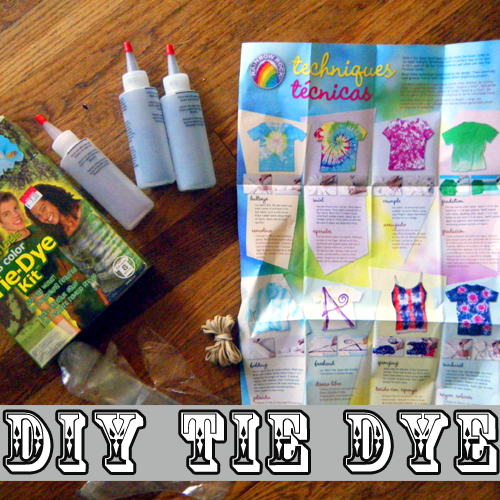 Tie dye is a fun party project that can be completed outside in the summer, or indoors. Follow these steps to get in on the boho trend without spending the bucks. A white T-shirt: Cotton fibers and any other cellulose (plant) fiber garment will work great, and so will silk. Squirt bottles: For use if you are dying multiple colors on each garment. Ketchup bottles found in the kitchen section at department stores will work. Tie Dye kits bought at the craft store will include these. Fiber reactive dye: Tie dye kits will come with this, or it can be found at craft stores in many colors. (Optional) Soda ash: Also known as sodium carbonate, this helps the dye to adhere to the fabric. Rubber bands or string: We will be tying off the shirts with these. For a wild variety of designs, use string or get a pack of rubber bands in various lengths. Rubber gloves: You will need rubber gloves to protect your hands from the dye. Cheap rubber gloves can be found in the dishwashing section of your local grocery store. Garbage bags: In case you aren’t dying outside, these can be used to prevent indoor messes. Pre-wash and dry the garment. This will remove any impurities and bring it to the correct size. If dying indoors, cut open and lay out a few garbage bags for potential stains. Newspaper can also be used but is less effective. Wear old clothes and shoes that you don’t mind getting messy. If soaking in soda ash, it is a good idea to tie your garment up beforehand. You will need to handle the garment with gloves after soaking in the soda ash, and tying with gloves on is no easy task! There are so many different ways to tie off a shirt. Even if you try the same technique, you’ll never get the same design twice. Experiment with the following techniques. Stripes: Gather your shirt up into a tube-like shape. You can twist it for lots of white wrinkles, or leave it as is. Strap rubber bands all the way down the tube. The more rubber bands you add, the more white stripes you will have when finished! Center Circle: For a centered circle on the front of the shirt, first lay the shirt out on a flat surface. Pinch a section right in the middle of the shirt and pull up toward you to make a teepee shape. Pull up more of the fabric for a larger circle. Close one hand around the base of the tee-pee and then tie it off with a rubber band. Twist the fabric you’ve sectioned off, and then add rubber bands down the length of it. The more rubber bands, the more circles. Many Small Circles: For lots of small circles, pinch up fabric about 2-3”, insert a large marble (or Styrofoam ball) and tie it off with a thick rubber band or string so that the marble is secure. Sunburst: Tie off a marble as instructed above. Use your pinky to measure about a half inch behind the last rubber band. Tie off two more sections about a pinky-width apart. Tie another section 1 finger width after the last one, and try the last one at two finger widths. Spiral: For a spiral design, simply pinch up a section in the middle of the shirt and twist it. Continue twisting until you have a spiral. Lay the spiral down on the shirt and curl the rest of the shirt around it like a tight nest. Take two large rubber bands and secure the nest so that it stays put. Be sure that you have the right dye for the job. We recommend fiber reactive dye. It is colorfast and easy to find at your local craft store. All-purpose dyes like RIT are easy to find, but you will be disappointed with the results after a few washings. When you buy a tie-dye kit, it will include fiber reactive dye. 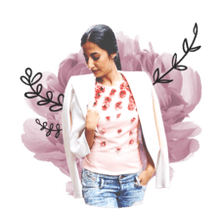 If you have chosen to use soda ash, now is the time to soak your garment. Mix one cup of soda ash per each gallon of water. Soak your clothes for 15 minutes to an hour in the soda ash. This step prepares the fabric to chemically bond with the dye by raising the pH level. Prepare your dye according to the instructions that it came with. If you do not mix the dye and water correctly, your dye will not be as vivid or colorfast. This is the fun part. You should be wearing old clothing for this step. Squirt the colors all over the shirt, paying attention to where you have tied it off. You can squirt the dye out randomly, or fill certain areas with color. Soak thoroughly with the dye. Now the dye will need to set. Time to get a snack and let the garment soak. At the least, wait eight hours before rinsing. Letting it sit overnight is best. To keep the dye moist, wrap your garment in plastic wrap. You don’t want the dye to dry out or it will not properly react with the garment fibers. After your dye has set, you will need to wash out the excess dye. Rinse by hand in cold water until the water runs clear. Then put your garment in the washing machine and send it through two hot wash and rinse cycles. Your ​tie-dye will be ready to wear after washing, but you should wash it by itself for the next few washings to prevent the dye from bleeding onto your other clothes. Do not use all-purpose dyes such as RIT. All-purpose dyes do not work well unless they are used in very hot water. Fiber reactive dyes are also much more colorfast, ensuring a long life for your tie-dyed beauty. These can be found in Tie Dye kits at the craft store, or online. Soda Ash, known as sodium carbonate, is an optional ingredient that will boost the pH, and therefore the vibrancy of your dye. You can find it in the pool section at the hardware store. Try the brand ‘pH Up’. If you use soda ash, your garment will not fade as quickly after a trip through the washing machine.